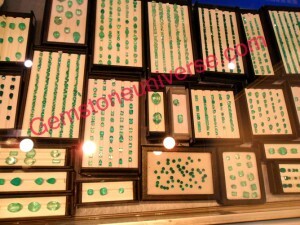 Images from Gemstoneuniverse Asia Pacific Division Participation in the 46th Bangkok Gem and Jewelry Fair from September 7th, 2010 to September 2011. 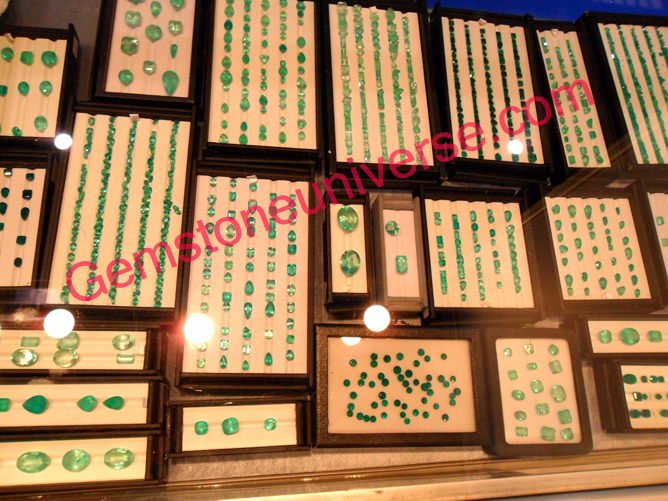 This complete set of 7 emeralds from Coscuez Mines weighing 48.61 carats was the cynosure of all eyes. 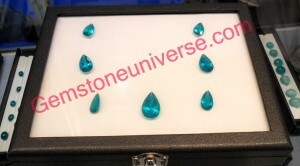 It was a special moment for us at Gemstoneuniverse.com to be appreciated by visitors worldwide for this special lot of Pear Shaped Emeralds with fantastic clarity. No wonder this set was sold in the first hour of the opening of the show to a single buyer. 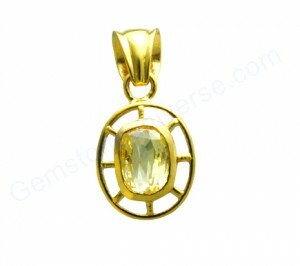 Blessed Jupiter Energies with Untreated and unheated flawless Yellow Sapphire from Ceylon set in Circle of Life Gold Pendant. 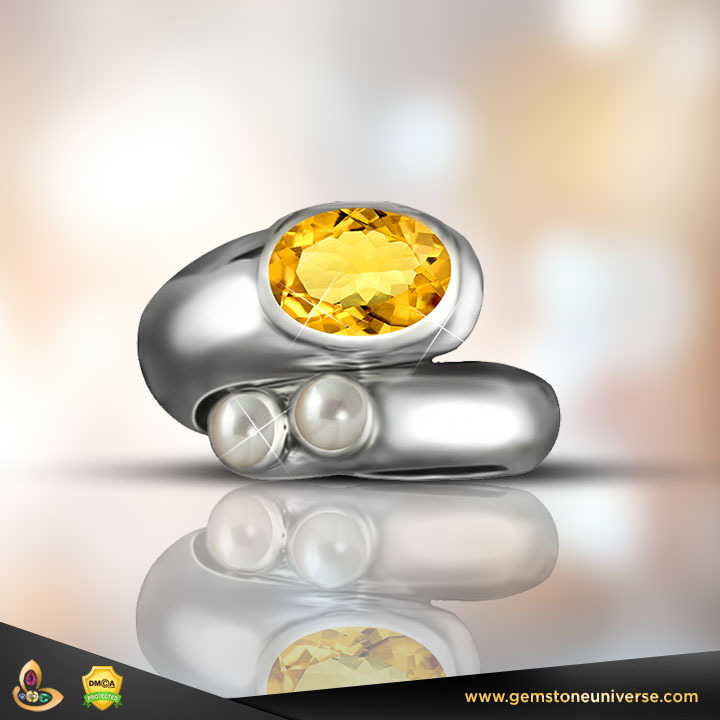 Yellow Sapphire/Pukhraj-The Gem of Benign Jupiter/Guru. Comments This Lustrous Yellow Sapphire set in Circle of Life pendant would assure the best energies of Lord Jupiter/ Brihaspati for the wearer.Yellow Sapphires bring prosperity to anyone who wears it, thus making it one of the most popular gemstones. 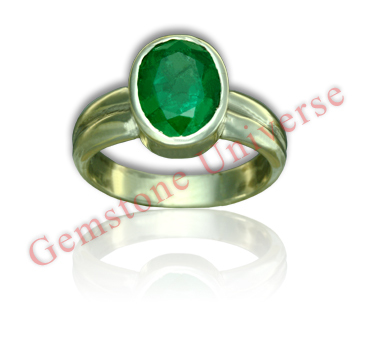 It is believed to improve the financial status of the wearer as well as bestow him or her with wealth, good health, fame, name, honour and success. 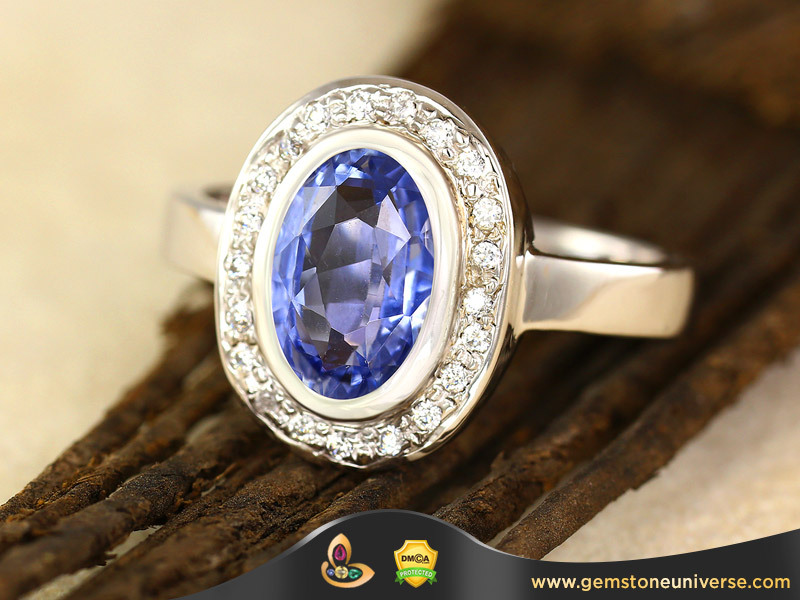 The yellow sapphire is also believed to promote the general well bring and spiritual knowledge of the wearer. 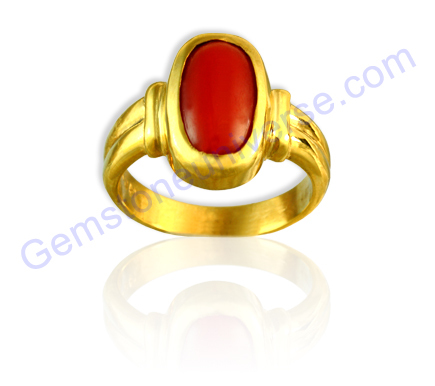 Full Bodied Deep Red Organic Red Coral from the Japanese Sea set in Classical, understated Gold ring representing energy, enthusiasm and Verve. Red Coral the Gemstone of Mars. Comments In India, this gem is known by various names like mangal, moonga and pavlam. This gemstone is one of the Navagraha stones (stones that represent the nine planets that have a cosmic influence on all earthlings) and represents Mars (Mangal). 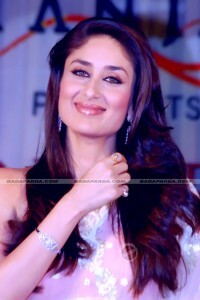 It is related to attributes like courage, initiative, vitality, vigor, aggression. Coral has a special significance in Indian astrology and has found mention in ancient Indian Vedic Literature. 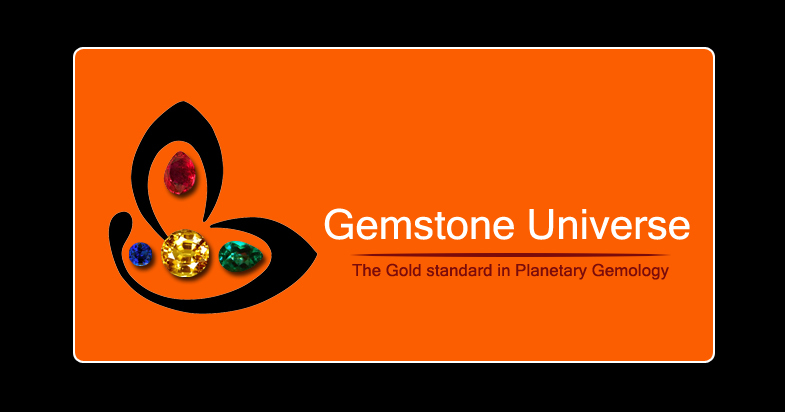 It is one of the many starts that have an important place in the study of star signs.Coral gemstones are known to have many healing powers and are specifically associated with the circulatory system of the body and known to have helped in curing many blood-related diseases. It is also used as a holistic aid in ensuring recovery from diseases indicated by the planet Mars, such as fever, cold and cough. Red coral Ring or Pendant are worn as talismans. 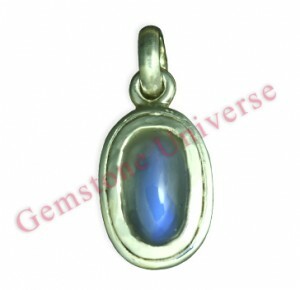 It is presumed that the stone can help in protecting the wearer against evil spirits. 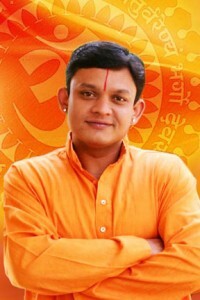 In South India it is a tradition for married women to wear coral beads throughout their married life in order to bring peace and harmony into the marriage. 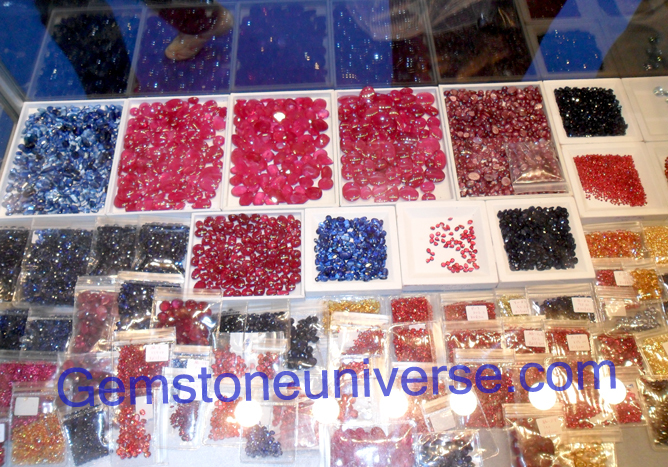 Red Corals from Japan usually have Full Bodied Deep red color. 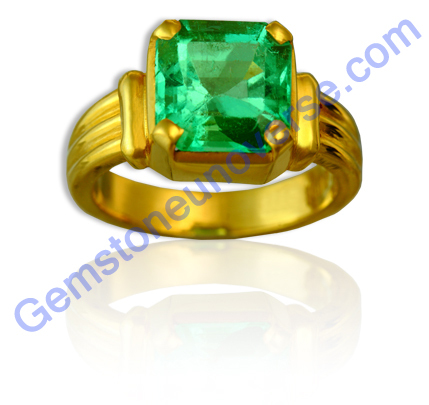 This specific colour of the coral is valued highly and has a relatively higher demand in the gemstone market.